Our house is big on Kinder Surprise. It's a treat my kids get when they've done their chores, got a great report from their teachers and some times just to let them know we love them. One of things they look forward to is to see what cool new toy they received after eating the delicious chocolate treat. Being that this household is run by a blogger, my kids get plenty of surprises on a daily basis from new movies, to toys, delicious treats, etc. I definitely encourage my friends and family to enter contests and giveaways because their chances are just as good as any one else and I've had a few friends win from some of my bloggy friends. I've even won a few different prizes by entering giveaways and contests. They're easy and so much fun, especially if you win! 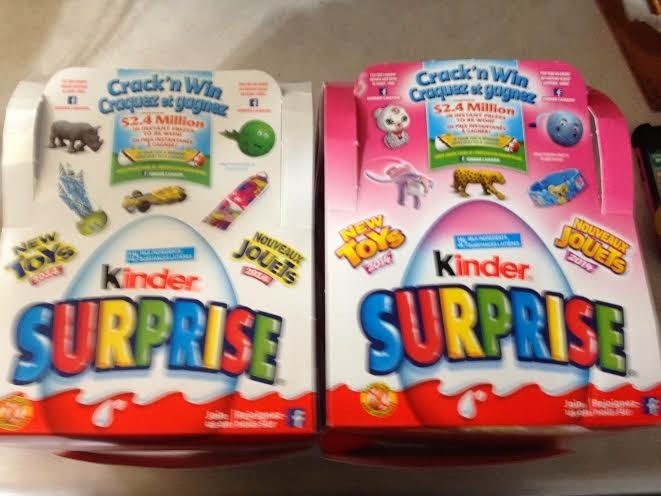 When we were sent a new package from Kinder Canada, I knew this would be the highlight of the month for my kiddos since Kinder released new Crack 'n' Win Eggs in honor of their new toy launch. 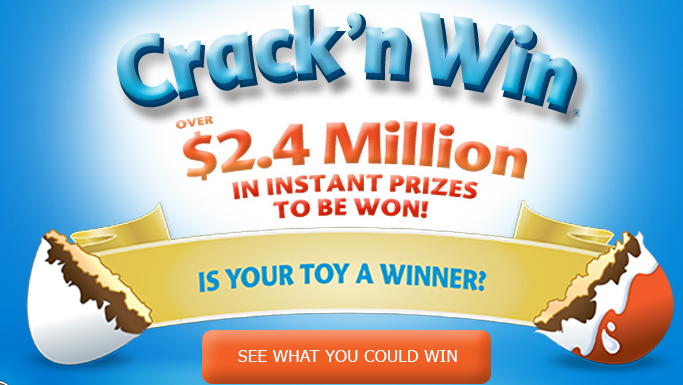 There are more than $2.4 million in instant prizes to win. You can look for the specially-marked Crack n’ Win Kinder Surprise on both the Classic and Pink eggs in stores. All your little one has to do is crack open their Crack 'n' Win Kinder Egg and look for the PIN that's on either the toy itself or on the toy leaflet within the capsule. Once they've found the code, direct them over to Kinder Canada's Facebook Page where they can easily enter their pin and check to see if they've won. Simple and easy and with a little help from mom and dad, they might be the next Crack 'n' Win winner! What are the prizes up for grabs, you may be asking? Well, one lucky Kinder fan could drive away in a Fiat 500 POP! Two lucky Kinder fans could win a family trip to Orlando! How awesome would some sunshine feel on your skin, especially with the Polar Voretex coming at us again! And that's not all, over 27,000 Kinder fans could win a family night out to the movies, and 201,000 fans could win a free Kinder treat! How awesome is all that just from what one pin could do? But don't delay, I would head out to the stores now and find some Crack 'n' Win Kinder Eggs before it's too late!